This piece is a response to Professor Rick Wilford’s ‘Fascism’, which is a chapter in the book, Political Ideologies: an Introduction (second edition). All the chapters are written by academics at the Politics Department of the Queen’s University of Belfast. There are various possibilities on Professor Rick Wilford’s Marxism. One, that Rick Wilford was a Marxist when he wrote this piece (in 1994); though he may not be a Marxist today. Two, that Wilford wasn’t a Marxist then and he’s not a Marxist now. Finally, and this more interesting possibility: that he wasn’t strictly speaking a Marxist then but he still nonetheless offered us an utterly Marxist account of fascism and National Socialism. 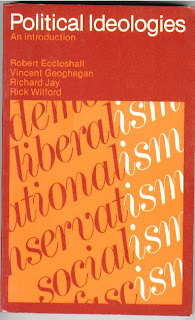 In a sense, even if I had discovered (if such a thing can be discovered) that Professor Rick Wilford was neither a Marxist then nor is a Marxist today, that wouldn’t have mattered in the slightest. My contention is simply that his account of Nazism and fascism is out-rightly - and almost in every detail - Marxist in nature. There is nothing outrageous or philosophically problematic about what’s just been said. 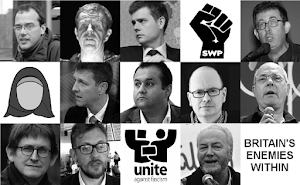 It’s crystal clear that there can be Marxist accounts of Nazism and fascism which don’t come from outright or full Marxists; just as there are Marxist accounts of racism, multiculturalism, ‘community cohesion’, ‘embracing diversity’, immigration, ‘Islamophobia’, etc. which don’t come from Marxists. In addition, I hope people will be aware of the silly mistake of classing people, whether writers, politicians, members of the BBC, etc., of being ‘Marxists’ when they only offer Marxists accounts of certain things or when they are only Marxist in certain ways. This way we save ourselves the embarrassment of accusing all and sundry of being Marxists when all we really mean is that they are Marxists in certain respects or that they offer Marxist analyses of only specific - not of all - things. 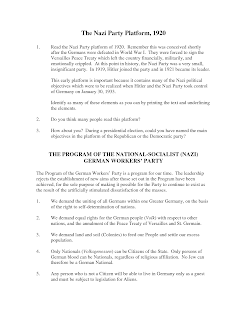 So what we have here is not only a thoroughly Marxist account of fascism and National Socialism; but also a Marxist’s, or socialist’s, attempt to disconnect socialism from any connections it may have to these far-right ideologies. This is both a Marxist account of Nazism and fascism as well as an example of a Marxist - or at the very least a sympathiser with socialism - trying to deny any links whatsoever between socialism/Communism and Nazism/fascism. 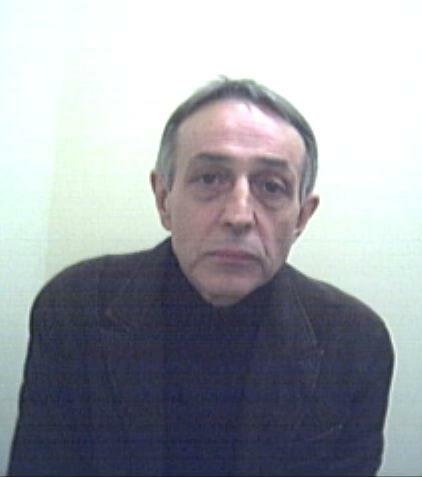 Professor Rick Wilford claims that all Hitler’s and Mussolini’s ‘socialist credentials’ were ‘baseless’ (page 200). This is a very strong Marxist position on Wilford’s part. It’s something I’ve simply never heard outside Marxist analyses of Nazism and fascism (of which there are a hell of a lot). Even the historians and commentators who are fiercely critical of both Mussolini’s fascism and Hitler’s National Socialism have rarely – if ever - made such an absolutist statement. To be more specific, Rick Wilford’s claim is even more outrageous in the case of Mussolini than it is in the case of Hitler. Mussolini, unlike Hitler, started out life as a literal socialist (as it were). It can indeed be argued that Hitler, on the other hand, adopted socialist ideas simply to serve nationalism and racism (though this is not true either). Nonetheless, Hitler still adopted socialist ideas and values. In the case of Mussolini again, he spent at least twelve years of his life as an outright socialist activist and many of the ideas and values of socialism, as with Hitler, stayed with him throughout the rest of his life. Rick Wilford also glibly says that that the Nazis and fascists didn’t really believe in ‘the common ownership of the means of production’. Perhaps not. However, not a single socialist or Communist regime in the 20th century put the ‘means of production’ in the workers’ hands either. The Communist/socialist parties - or the Communist/socialist states - put the means of production into their own hands - even if ‘on behalf of the workers’. Not only that. Many socialists and Communists knew that this would happen - and even said this this would happen - well before they gained state power. So, in the end, the means of production, at least in the 20th century, was never really in the hands on the workers in any country at any time. Consequently, from a socialist/Communist perspective, singling out the Nazis and fascists as being guilty on this count is a little rich. Now for the denial that the Nazis and fascists didn’t ‘abolish wage slavery’. For a start, why is a professional academic using phrases like ‘wage slavery’ in the first place? He doesn’t even put the phrase in inverted commas and there is no hint that he’s using it as a term used by others. This is the language of the Far Left used in what purports to be an objective academic book to be used primarily by students of politics. More to the point, what does Rick Wilford mean by the Nazis and fascists failing to carry out ‘the abolition of wage slavery’? As with the workers gaining ‘common ownership of the means of production’ earlier, the abolition of ‘wage slavery’ never happened in a single socialist or Communist state in the 20th century either. 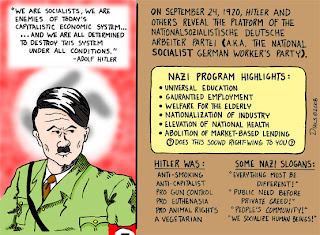 Most Marxists vaguely, or quietly, admit that Hitler was indeed a socialist - of some kind - in the very early days. Nonetheless, by the late 1920s, on most Marxist accounts, Hitler had completely given up on socialism. Nonetheless, Wilford argues that Hitler’s socialism was a ruse from start to finish. Wilford also says that Hitler ‘was keenly aware of the need to counteract the growth of support among the workers for socialism’. This is interesting in that Wilford completely overlooks the fusion of socialism and nationalism in Hitler’s case. This is odd considering he was a national socialist. Specifically, Wilford discounts two things. Firstly, he discounts Hitler’s fusion of national and socialism. 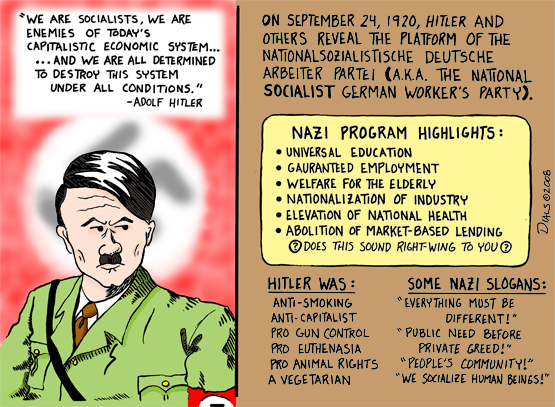 Secondly, he also discounts the possibility that German workers (even if socialists) would - or could - have quite happily accepted Hitler’s fusion of socialism and nationalism. It’s as if Wilford simply takes it for granted that nationalism and socialism could never have been fused and therefore that the German workers would never have been truly committed to Hitler’s National Socialism. Yet why couldn’t nationalism and socialism been combined? And why couldn’t many German workers have accepted that combination? If Wilford simply rejects even the very possibility of any fusion of nationalism and socialism then he should be a little clearer about the impossible nature of that combination. His not doing so is simply an acceptance of a Marxist dogma which is primarily believed to distance all (left) socialists from Hitler’s National Socialists. This is a very problematic statement and on many grounds. Firstly, what does Wilford mean by ‘mass support’? Some would argue that the Nazis did have the mass support of the workers by the late 1920s. But, as I said, it all depends on what ‘mass support’ means in terms of numbers. If Wilford means the support of virtually all the German working class; then Hitler would simply never have needed that level of support to secure political victory. In fact in all parliamentary and in most other kinds of democracies (as Germany was at this time) no party needed or needs such mass support to secure power. Secondly, it is a well-known Marxist platitude that Hitler turned his back on the workers and then embraced the ‘capitalists’ instead (in the late 1920s). Apart from this not be true on many historical and political accounts, Wilford’s claim implies that Hitler wouldn’t have welcomed the support of ‘capitalists, small businessmen, farmers and white-collar workers’ in the early 1920s. That is simply isn’t true. Hitler was always a national socialist. If this were not the case, he would have simply been a socialist in the early days. 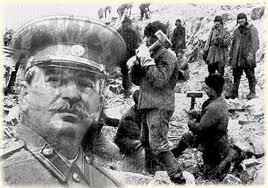 But he was never a socialist simpliciter and no one has ever claimed that he was. The whole point of National Socialism, even in the early 1920s, was that it was against ‘class conflict’. It wanted to unite the classes on behalf on the nation and the ‘German race’. Again, if this wasn’t the case in the early 1920s, Hitler would have simply been a socialist; not a national(ist) socialist. 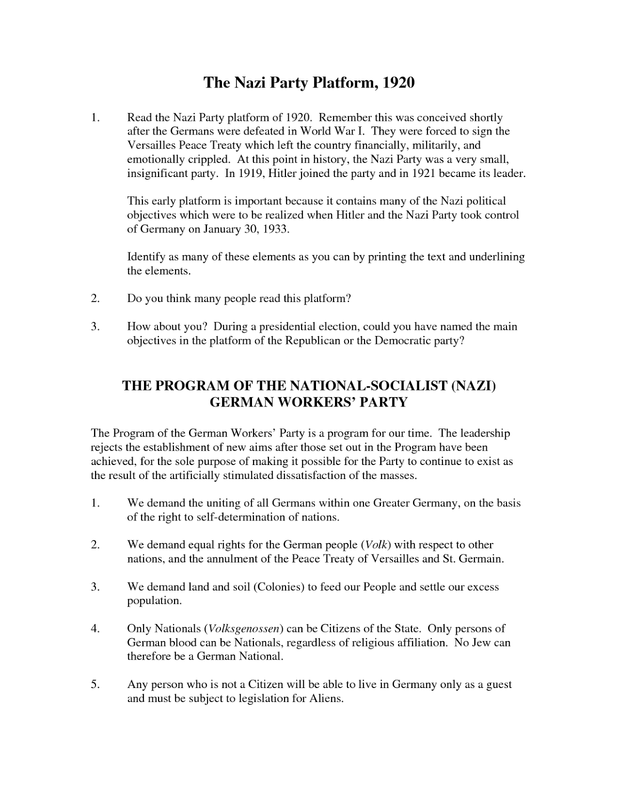 And there are many quotes from both Hitler and the Nazis generally which explicitly state that the uniting of the classes, though within a socialist context, was a primary goal of National Socialism. So if it were the case - as on the classic Marxist and Rick Wilford’s own account - of Hitler and the National Socialists stringing the working class along, and then jettisoning them because of ‘the relative failure of the Nazi Party to secure mass support among them’, the all that simply doesn’t make much sense. In other words, the Nazis actually embraced ‘capitalists’ from the beginning – or at least Hitler and the ‘right socialists’ did. Many capitalists, on the other hand, didn’t return that favour until, in actual fact, after Hitler was elected in 1933 (or at the very least immediately before). And all this despite the fact that in the Marxist - and Wilford’s - version the Nazis secured important capitalist support in the late 1920s and onwards. This isn't to say that no capitalists supported the Nazis before 1933 – of course they did! Nevertheless, the Marxist version has it that the capitalists actually helped Hitler gain power in 1933. On many other non-Marxist accounts, most capitalists (though it depends on which type of capitalist we are talking about) jumped ship to the Nazis just before or after the election of the Nazis (as capitalists often do when a new power is elected). The problem is that Wilford doesn’t seem to think that the term ‘totalitarianism’ applies to any Communist or socialist regime, not even to Stalin’s Soviet Union. This isn’t odd because Marxists, not surprisingly, have rejected this harmony of Nazi totalitarianism and Communist/socialist totalitarianism. 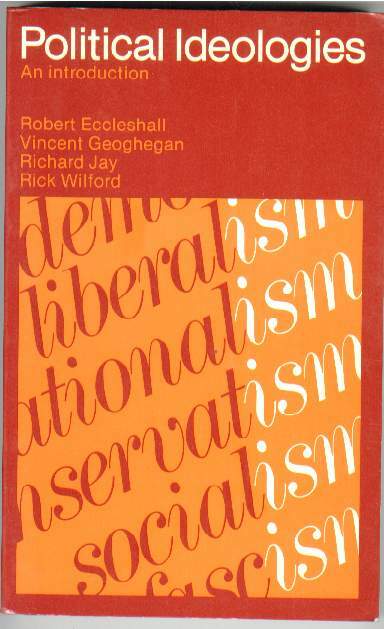 In Wilford’s case, he says that ‘[e]qauting Stalin’s Russia with Nazi German and fascist Italy was a powerful way of demonising the communist threat to liberal democracy’ (213). Not only that. Wilford doesn’t like the fact that the term ‘totalitarianism’ is ‘employed in a cavalier fashion’ when applied to Communist/socialist regimes – any Communist/socialist regimes. It seems that - to use Wilford’s own phrase - totalitarianism cannot, ‘by definition’, be applied to any Communist/socialist regime. This means that only right-wing regimes, or, more tightly, only the Nazi and fascist regimes of the twentieth century, were truly totalitarian. This is of course an utter disgrace and shows Wilford’s Marxist bias perhaps more than anything else he says in this chapter. There are, of course, differences between Nazism/fascism and Communism/socialism. And Marxists (especially Trotskyists) have fixated on these difference as a means to distance Communist or socialist totalitarianism from Nazi or fascist totalitarianism. Nonetheless, these difference won’t - and don’t - mean that they somehow exclude Communist or socialist regimes from being, ‘by definition’, totalitarian. There are also differences between democratic parliamentary parties but that doesn’t stop all of them being committed to parliamentary democracy. There were differences, some quite large, being Italian fascism and German Nazism but that has never stopped people - certainly not Marxists - from lumping them together. So no doubt Marxists, and Rick Wilford, have their own differences in mind which help make it seem to be the case that Communist/socialist regimes, and even Stalin’s Soviet Union, were not totalitarian. Nonetheless, are they differences that make a big difference to their being totalitarian or not? (It’s hard to say in Wilford’s case because he doesn’t explain why he says the term ‘totalitarianism’ is used in a ‘cavalier fashion’ nor why people using that term to ‘demonise’ Stalin’s Soviet Union somehow made it untrue that his regime was indeed totalitarian.